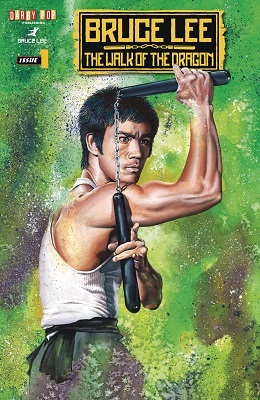 Philosopher/teacher/real-life superhero Bruce Lee is back. And, let's be honest, the world needs him now more than ever. Taking a brief respite from battling an otherworldly evil, Bruce Lee attempts to navigate modern-day Southern California despite still suffering from amnesia and having been 'out of the loop' for over 45 years. Unfortunately, what was supposed to be a simple 'lunch run' soon turns into a comedy of errors involving mistaken identity, a Film Festival,' and the pokey. And despite never being one to initiate fisticuffs, Bruce continues to find it difficult to both hide his martial arts skills - and keep his shirt on.